On November 14, 2016, I watched USNA ’60 Classmate, Jack Herbein, defend his World Championship at the World Bench Press and Dead Lift Competition, at Bally’s Hotel/Casino, in Las Vegas, NV. The event is affectionately known by contestants and knowledgeable spectators as the “Push - Pull Competition.” Jack is 78 years old. How did he come to hold the World Record, win six (6) World Championships, four (4) National Titles, and become a member of the Hall of Fame? Dedication, addiction, or foolishness . . . read on and you decide. Jack came to Annapolis directly from High School and joined a similar group of mostly middle class youths as a Plebe in July 1956. He was a hard scrabble youngster from Birdsboro, PA, weighing 160 pounds. Early in his grade school years three boys who palled around together decided that he should be punched and pushed around at their discretion. Perhaps it was because his father was the High School Principal and they assumed Jack was the recipient of special privileges at school. After a few incidents his father heard about the activity and asked Jack why he did not defend himself? “Well there are three of them. They are all two grades ahead of me, and are all bigger and stronger than me. The ring leader is especially tough.” Jack explained. “Then you should catch each one when he is alone and fight them one at a time,” was the special privileged, fatherly advice he received. Plebe summer at the Academy, after our brief introduction to the fine art of boxing during PT class, we were paired off for a three minute round as our “Final Exam.” Jack faced a classmate who was 3” - 4” taller than he was and it may have triggered some early school memories. Jack apparently worked his way inside his taller opponent’s longer reach and displayed a reasonable amount of skill. When the bell ended the round, Boxing Coach Rubino was waiting as Jack exited the ring. He was a class hero when he won the 155 pounds weight class, Brigade Boxing Championship, as a plebe. Third Class year he fought in the 165 pounds weight class and became Brigade Boxing Champion for the second time. Second Class year, again in the 165 pounds weight class, he defended his title and became Brigade Boxing Champion for the third time. Coach Rubino was excited about training Jack during his First Class Year because no one had ever been Brigade Boxing Champion all four years and because of the upcoming 1960 Olympics. Coach Rubino was on the Olympic Boxing Committee and revealed that he could guarantee Jack a Quarter-Final Olympic tryout. Jack, who had wanted be a seagoing naval officer since reading several seafaring books as a 5th Grader, was anxious to report to his first ship and to marry his fiancée upon graduation. By now he had had only 15 - 18 formal fights and envisioned an Olympic opponent - probably from Poland - with 60 - 70 fights to his credit, who might hit him enough to keep him from reporting to his ship on time or disfiguring him sufficiently for his fiancée to postpone the wedding until his face returned to its Hollywood, movie star quality. He declined Coach Rubino’s offer, did not box First Class year, but did get married and report to his first duty station, a Destroyer, on time. Home on leave from the Naval Academy, Jack was returning from a date when his younger brother, home on vacation from the Marine Corps, challenged him to lift overhead the weighted barbell he had arranged in the family living room. Surprised by the ease with which the barbell was lifted, both boys realized that Jack might be pretty good at this weight lifting stuff. He began training with weights his 1st Class year at the Academy and found weight training fun! The entire competition lasted a week. The day I attended it was all weight classes, men and women, ages 60 years and older. Three judges, each armed with a toggle switch connected to a white (good lift) or red (no lift) bulb, were positioned in front and on each side of the lifter. Each contestant was allowed three lifts. Weight could be added, but not decreased. The maximum weight lifted was scored. “It is mostly arthritis and it is both in the knees and the hips.” he replied. “I replaced my right hip in 2001. Then during a training lift in 2003, my lower, right side went limp. It seems that I had split and broken my artificial, right hip.” So that one was replaced a second time. In 2010 I had my left hip replaced. Addiction? Jack was not only awarded the First Place Trophy in his age & weight category in the Push-Pull Event, but also the prestigious award as “Best Lifter in the Competition” based on his age, weight, and lift total. Over a beer he revealed that on occasion someone might beat him in one of the two, Push-Pull categories, but never in both, so he routinely gets the First Place trophy.  Competition keeps you young regardless of your age (as long as they keep making spare parts) just ask USNA Graduate and Class ’60 hero, Captain Jack Herbein, USN Retired. Frustration and fatigue were starting to simultaneously set in on me on 20 June 1965. It was supposed to be a stand-down day, but by noon we were suiting up for an emergency RESCAP. An Air Force photo-recon pilot had been shot down very deep into the northwest corner of North Vietnam. We manned up three times before we launched. By now we were fast becoming the leaders in the squadron sweat stain contest. The sweat stain contest was unique to Skyraider squadrons. The winner was the pilot who could merge the salty white left and right armpit stains in the center of his flight suit first. This contest was made possible by MIDWAY (CVA-41) laundry and morale officer who would accept only one flight suit per week per pilot from us. At any rate we were hot, sweaty and beginning to worry that this man up was going to mean no dinner. This time, however, we started and were told that we were a go mission and began our taxi forward to the catapults. It was almost 1800. The cat shot killed my radio. I was able to get the number two radio working, but continued to fiddle with number one so that I could act as relay. I got it working and checked in on tactical frequency as we went feet dry. Then it failed again. Feet dry at 12,000 feet heading northwest we were passing north of Thanh Hoa. LCDR Ed Greathouse was in the lead. On his port wing was LTJG Jim Lynne. I was on his starboard wing with Charlie Hartmann on my starboard. We all had the standard RESCAP load: two 150 gallon drop-tanks on the stub racks, four LAU-3 pods with 19 2.75 inch rockets apiece and 800 rounds of 20mm for the four wing cannons. We were flying steadily toward the downed pilot. Suddenly Ed Greathouse rolled inverted into a near vertical dive with Jim Lynne following. I rolled and followed him down. I was concerned that I had not heard anything and that we were only 70 miles inland, at least 80 miles from our RESCAP point. A quick radio check confirmed that my radio was dead. We had been jumped by two Mig-17’s. Our only hope was to get down low and try to out turn the MiGs. Ed was doing just that. Our split-S got us some speed and reversed our course toward the ship. I figured that any time my nose was pointed at the ground my ordnance should be armed. I armed the guns and set up the rockets. About that time I saw a large unguided rocket go past downward. My first inclination was that it was a SAM, but SAMs generally go up. This was confirmed when a silver MiG-17 with red marking on wings and tail streaked by Charlie and me heading for Ed. Tracers from behind and a jet intake growing larger in my mirror were a signal to start pulling and turning. As I put g’s on the Skyraider I could see the two distinct sizes of tracers falling away (The MiG-17 had two 23mm and one 37mm cannon in the nose.) He stayed with us throughout the turn firing all the way. Fortunately, he was unable to stay inside our turn and overshot. He climbed to a perch position and stayed there. Our turning had separated us from Ed and Jim. Now that we were no longer under attack my main concern was to rejoin the flight. As we had been flying at treetop level in and out of small valleys, we had to fly around a small hill to get to them. Coming around the hill we saw Ed Greathouse and Jim Lynne low with the MiG lined up behind them. I fired a short burst and missed, but got his attention. He turned hard into us to make a head-on pass. Charlie and I fired simultaneously as he passed so close that Charlie thought that I had hit his vertical stabilizer with the tip of my tail hook and Charlie flew through his wake. Both of us fired all four guns. I could see pieces falling off the Mig. After he passed us he rolled inverted and hit a small hill. We briefly considered trying to cut off the other MiG, but were dissuaded by the voice of Ed Greathouse asking what we thought we were doing staying in the area when STRAUSS was reporting numerous bogeys inbound to our position. We took the hint and headed out low level to the Tonkin Gulf were we rejoined with our flight leader. After debriefs all around, the politics started. Charlie and I were informed that we would get no recognition or awards for our MiG kill. SECNAV had been aboard three days earlier when VF-21 F-4 pilots had bagged the first kills of the war. Their awards were being held until SECNAV could get to Washington, announce it to the President and present it to Congress with the plea for more funds for F-4 Phantoms to fight the air war. Obviously, the success of primitive Skyraiders would undermine his plans. Unfortunately, someone had included our kill in the daily action report to MACV where it was read by COMSEVENFLT DET "C" who thought that it would be an excellent opportunity for Navy public relations. Indirectly Ngyuen Cao Ky, the new Premier of South Vietnam, and a Skyraider pilot, heard of it and recognized Ed Greathouse’s name as one of the Skyraider instructors from the RAG. He then demanded our appearance for Vietnamese awards. The next day we flew to Saigon for the Five O’clock Follies and were instant celebrities, since the news media did not yet know about the F-4 kills. They assumed that we were the first which made an even better story. We stayed at the Majestic Hotel in Saigon where we thoroughly enjoyed the lack of water hours and the availability of our favorite beverages. The next day we were guests of Premier Ky at the palace where we were awarded Air Gallantry Medals and honorary commissions in the South Vietnamese Air Force. Upon arrival back at MIDWAY we were surprised to learn that there had been a change of heart and we would to be recognized at the same ceremony as the F-4 pilots. Since they had already been recommended for Silver Stars, Charlie and I go the same while Ed and Jim got Distinguished Flying Crosses. It took many years after Christmas 1969 to forget some of those Vietnam memories, and to cherish others even to this day almost as if it were yesterday. I had been in-country Vietnam all of one month when Christmas 1969 arrived. I was still pretty fresh from the states and had not fully acclimated to the heat, smells, humidity, or to facing that major holiday without my family. We had been separated before at Christmas due to Med deployments but this one had special meaning because of where I was and the potential danger that existed everywhere. I was back in Vung Tau for the week after my indoctrination "cruise" and certainly enjoyed that muddy, cold shower at the hooch and some hot USA food at the Army base, not to mention clean clothes. I had been attending almost daily Mass at the local Vietnamese Catholic Church all week And I thought that is where I should be this Christmas eve instead of on the base. After cleaning up my gear and, of course, cleaning my M-16 and .45, I thought how incongruous can this be...here it was Christmas eve and I was cleaning weapons! Peace on Earth! Good will to men! Right!! Anyway, I borrowed my boss's jeep and set out for church. I asked everyone else around if they wanted to come, the answer was no....they preferred to sit tight and watch another cowboy flick. So, I left the hooch, got in the jeep and drove off. I had gone about a mile (two clicks) down the main road when I saw a bundle of rags by the side of the road. The bundle moved so I stopped to investigate. I got out of my jeep, being careful of where I was and who might be watching, and touched the bundle with my toe. I guess that was stupid because it could have been a booby trap but I hadn't even thought of that possibility. I was still very green. It moved again and started to cry.....it was a baby and probably not too old. I looked for anyone who might be around that I could give the baby to but no one was there. What the hell was I going to do with a baby and where the hell was its mother? I just couldn't leave it there. I guess I stood there by the side of the road for about ten minutes looking for someone to help, then decided to move because I/we were a neat target. I got back in the jeep and drove to church carrying that little baby. As I walked into church a Vietnamese nun came up to me and asked me if that were my baby. I said no, I had found it beside the road and I needed some help. To make this situation even more difficult to comprehend, the nun spoke perfect English. You know, I was beginning to get a very strange feeling about all of this so I gave the baby to the nun, told her where I lived and my name, said a fast prayer and then left the church. I got back into the jeep and drove back to our hooch. I told my boss what had happened and he was quite moved by the story. My boss was a super guy, very devote, big family man, and really so clean and pure in thought and deed, he was a great inspiration plus a hell of a fighter. Anyway, he told me that it was not too unusual an occurrence for the very poor or girls out of wedlock to abandon babies they could not afford to keep. The mother was probably hoping that some one far better off than she would take the baby home and raise it as her own. He also said that the nun would have taken the baby to the orphanage in town that they ran and that I could periodically check up on it as time went on. That was my first bit of information about any orphanage. So, the day after Christmas I did find the orphanage and the nun. She gave me a tour, showed me the baby and then told me about their flight from the north ten years before and how they had walked all the way with over a hundred children. They still had over a hundred children of all ages...just as soon as one left because of age, another would arrive. That orphanage was in such disrepair and everyone so needed the basic essentials of living that I decided that I would tell the other advisors about it and try to arrange someway of getting them supplies from the states on a regular basis. To make a painful story short, we did "sponsor" the orphanage, they did get basic essentials from the states, the baby did prosper, and the nuns got a lot of help from the US Navy. Now, you can say that it was a coincidence that all that happened or you can imagine that perhaps, just perhaps, there was a much more powerful force at work there. To be truthful, somedays I believe it was the former and somedays I believe it was the latter. Your choice.